While Canada is battling through the polar vortex, Toyama has been relatively mild hovering at around 0 Celsius. Although I’m not one to complain about the lessened need for fleece and heaters, there’s something a little sad about a winter without snow. 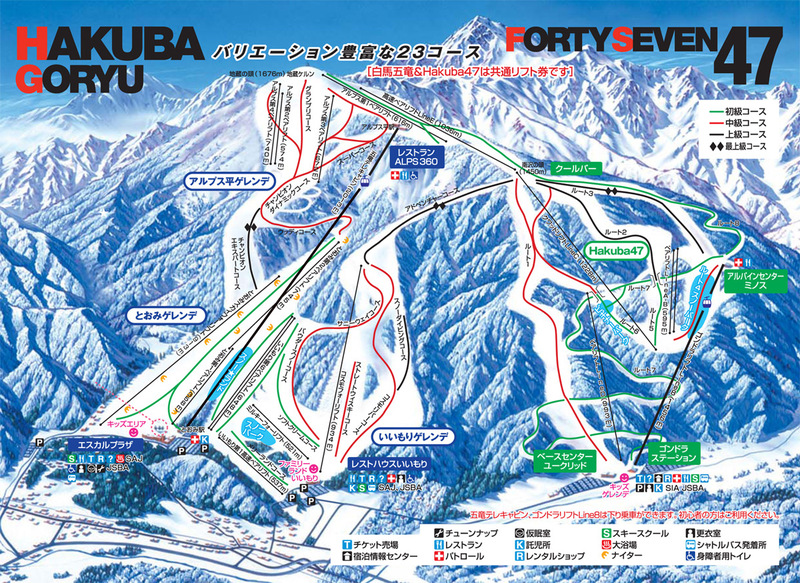 Over the weekend a group from my area drove to Nagano to spend two epic days at Hakuba ski resort. 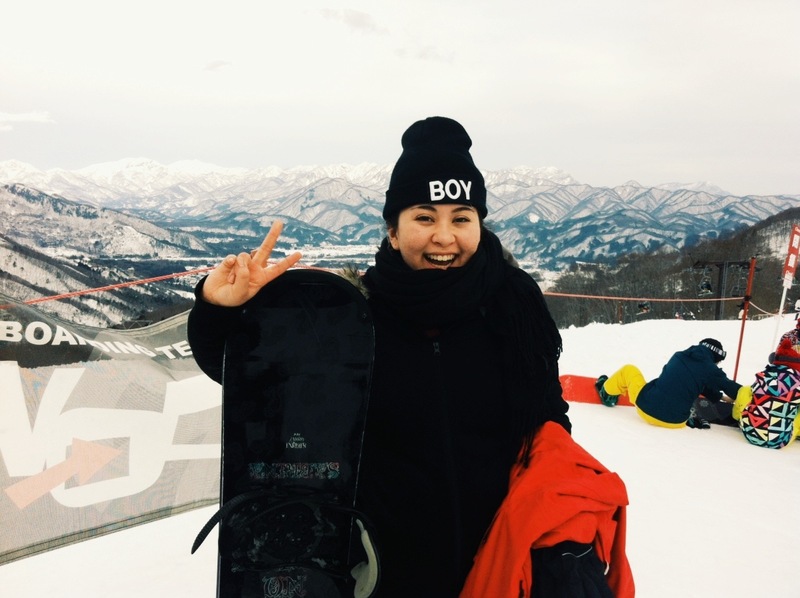 I haven’t been snowboarding in about 4 years, so I felt a little nervous and shaky on the way up to our first run. By an hour into the first day I remembered the rush you get from gliding down a mountain, and I felt exhilarated from the crisp air. This is by far the most unique course I’ve ever been on, with multiple paths intersecting and diverging, and with multiple chair lifts and rest stops at various points on the mountain. This turned out to be quite an enhancement on our trip, because we were able to find sections of the mountain that we really enjoyed and repeatedly run them over and over. After our first day on the mountain I experienced my first ever Onsen, a public bath. After the initial internal anxious meltdown had passed, my body was beyond grateful I decided to go. There’s no feeling quite like letting your muscles relax in hot water after being beat up by an icy mountain all day. On our second day on the mountain the weather took a turn for the colder resulting in non-stop snow and freezing winds. We spent most of our time at the top of the mountain, where the snowfall had created heavenly powder that made you feel like you were flying. Of course, this came with the price of snowboarding through the white-out, with snow so thick the path disappeared a few metres in front. Like so many other times in Japan, this place felt incredibly peaceful despite the odds. Wind swirling around me, snow coating my face and goggles, skiers whipping around me, and yet the top of the mountain felt tranquil. 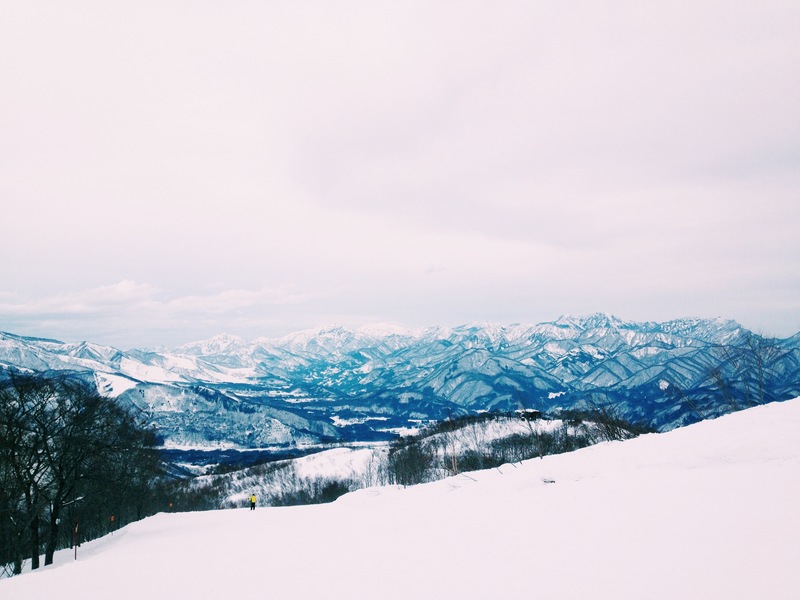 I’ve certainly gained a greater appreciation for Japan’s mountains (which I wouldn’t have guessed possible) and I’m eager to go back for more. 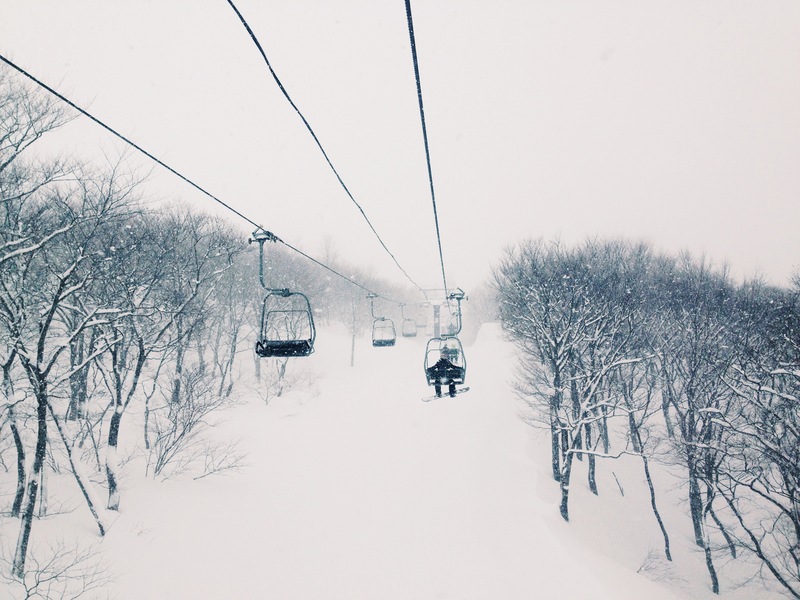 A chairlift disappearing into the snow. From the bottom of a run- thick snow looks like mist. On the morning of our first day. A clear view of the surrounding mountains.